8ft x 10ft green powder coated galvanised steel base for Halls Supreme greenhouses. Add a Halls galvanized steel base in powder coated green finish to give your greenhouse rigidity and strength. Use this base for building your greenhouse straight onto slabs or concrete. 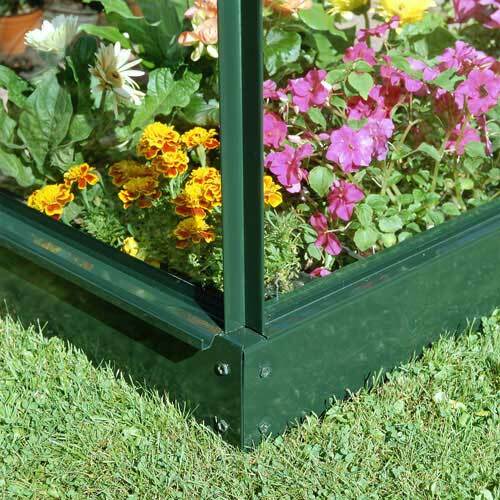 This Green steel base will also add 128mm to the height of your greenhouse giving you and your plants more room.